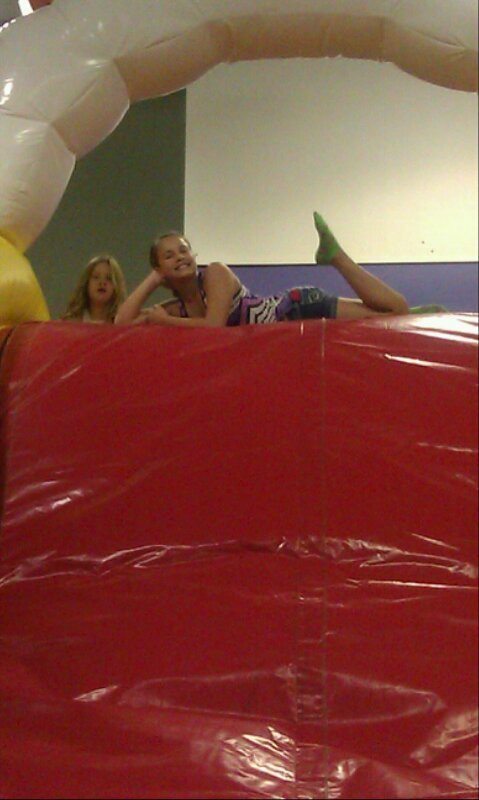 Hoppity Hop Inflatable Play Center is located in Hendersonville, TN. 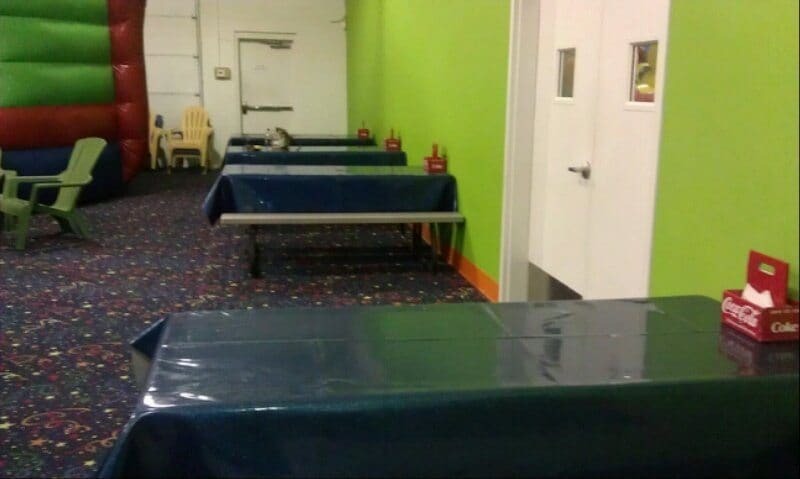 The center is open for parties and for ‘open play’ times. They offer two separate rooms full of inflatable fun! Hoppity Hop also rents inflatables in case you want to bring the party back to your house. 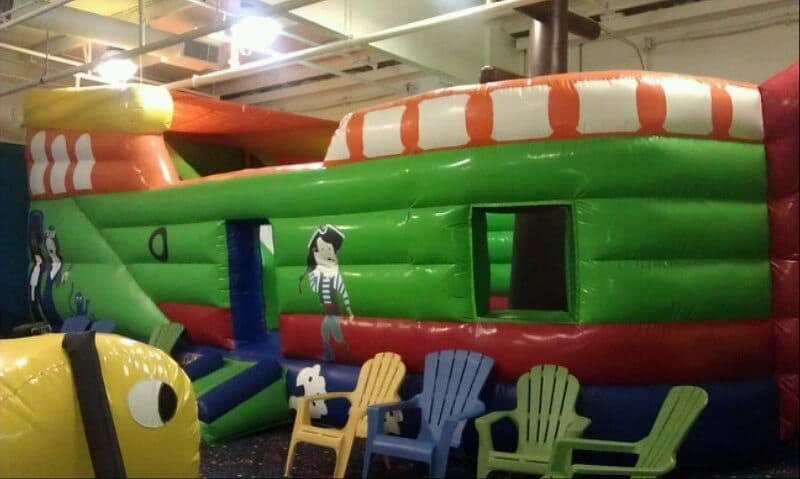 The first room currently has a large inflatable pirate ship, a big open jump house and a giant climber with a slide. Hoppity Hop has a large variety of inflatables that cycle through the center. So each time you visit, your child could have a completely different experience. There are several picnic style tables in each room. There are also 8 to 10 comfy chairs for adults who are lucky enough to have a self-sufficient jumper. 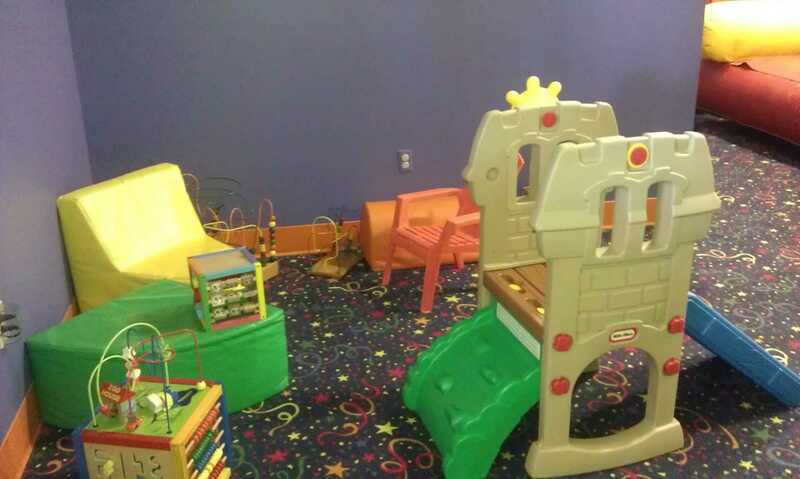 This room also features a small toddler play area. 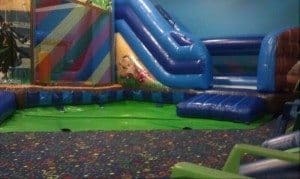 The second room contains a large obstacle course, a jumper with both large and small slides and a Mickey’s Playhouse themed jumper. Both rooms are equipped with televisions. During our visit, several dads were happily watching college football and their toddlers at the same time. 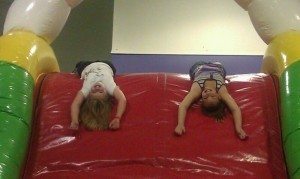 While we were there, a party was going on in one of the inflatable rooms so we were only allowed to jump in the other room. It didn’t bother my kids in the least and it probably won’t bother yours either. 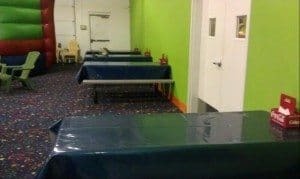 If that is an issue for you, be sure to call ahead and see if there are any open jump times when parties are not scheduled as that will change weekly. Outside of the inflatable rooms is a large lobby. 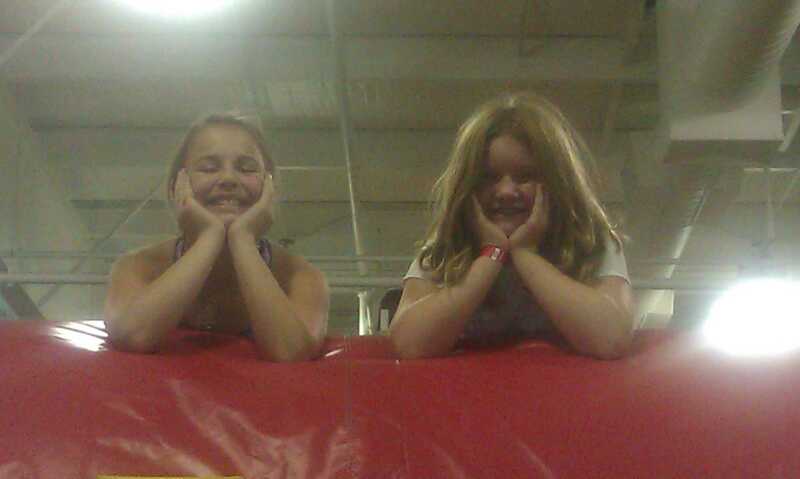 There is a full concession stand and an area where you can purchase party favors and t-shirts. 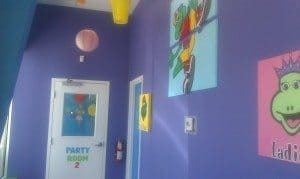 There are also two private party rooms where your birthday child can have cake, ice cream and presents away from the inflatable area. 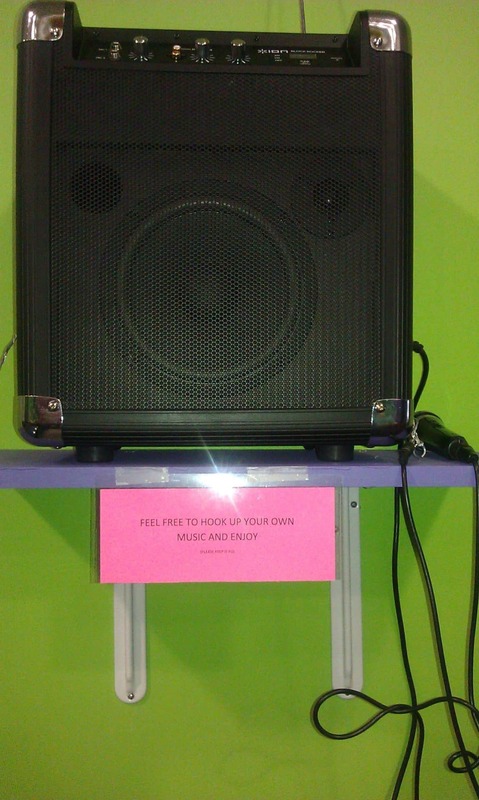 The inflatable rooms are equipped with a sound system so you can play your own music via MP3 player. This option will be very popular if you happen to have an 11-year-old obsessed with boy bands. Hoppity Hop Play Center has clean, well-stocked bathrooms with changing stations. They also have wifi!